Special Annoucement: Mr. Robert Bowden: (Senior Operations Officer) for Go Africa Network inc.
Robert Bowden, serves as Senior Operations Officer & Chief Cacao Sustainability Officer for the Go Africa Network. He is an award winning chocolatier and founder of luxury bespoke brand Viveré Chocolates. Mr. Bowden is also an active board member of the Heirloom Cacao Preservation Initiative and was appointed to Communications Chair in 2016. HCP is an organization which focuses on the preservation of endangered cacao varieties to maintain biological diversity and growth of the fine chocolate industry. Mr. Bowden spent many years in the hospitality management field prior to the founding of Vivere Chocolates in 2014, and is a sought after strategist and speaker on niche business. He volunteers with Junior Achievement teaching business and entrepreneurship to youth .Known as a pursuer of passions, when not making the world happier with chocolate he can found enjoying his two favorite hobbies horses and yachts. /wp-content/uploads/2015/07/logo-go-africa-news-294x300.png 0 0 Dr. Dennie Beach /wp-content/uploads/2015/07/logo-go-africa-news-294x300.png Dr. Dennie Beach2017-05-26 18:10:352017-05-26 18:16:39Special Annoucement: Mr. Robert Bowden: (Senior Operations Officer) for Go Africa Network inc.
Special announcement: Mr. Gilory Simpson: is now the CFO of Go Africa Network Inc. 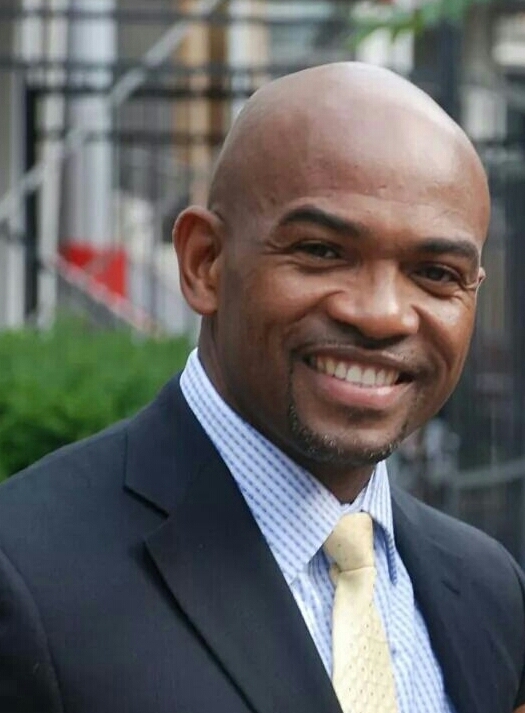 Pleas congratulate Mr. Simpson on his new role at Go Africa Network Inc.
Mr. Simpson is currently the Chief Financial Officer at Go Africa Network Inc. Mr. Simpson was formally Senior Operations Officer at Go Africa Network for the past 2 years. and Case Manager at Weston United Community Renewal, INC – New York, NY. Mr. Simpson’s Background comprises over 18 years of extensive Health, Human Resource Management and Patient Care management, and Consultative duties within the New York City Metro area with specific focus on underserved and at-risk populous. /wp-content/uploads/2015/07/logo-go-africa-news-294x300.png 0 0 Dr. Dennie Beach /wp-content/uploads/2015/07/logo-go-africa-news-294x300.png Dr. Dennie Beach2017-05-26 17:40:592017-05-26 18:11:00Special announcement: Mr. Gilory Simpson: is now the CFO of Go Africa Network Inc.